We're going to talk about a shake whose primary virtue is sustained energy, making it perfect for an afternoon pick-me-up or to sustain an athlete on a long-distance run or when climbing a mountain. But by very virtue of its ability to sustain you for hours, it will help you lose weight by killing the need for between-meal snacks to keep you going throughout the day. For years, the standard diet shake was the low-fat, high-sugar, shake-powder, "boosted" with a complement of synthetic vitamins and indigestible fiber. The idea was that you'd mix the powder with a glass of milk and replace one or two meals a day and eat sensibly for your other meal(s). And it worked, in that it could significantly decrease your calorie intake. Too much protein puts stress on the liver and kidneys, lowers body pH which contributes to osteoporosis and cancer, creates a state of dysbiosis in the intestinal tract which leads to, among other things, a compromised immune system and an increased risk of colon cancer. Heavy doses of antibiotics and growth hormones in the high levels of non-organic protein consumed (assuming you're not buying in a health food store). Increased allergies and autoimmune diseases resulting from the high consumption of dairy and/or soy. And keep in mind that milk allergy is not just based on an intolerance of lactose sugars. It is actually caused by the immune system's response to one or more of the proteins found in cow's milk. There are many protein allergens in cow's milk that cause allergic reactions, which is why cow's milk is one of the most frequent causes of food allergens in our diets. Casein and whey are the two main protein components of dairy and, coincidentally, the two main sources of protein in diet shakes (outside of soy). Call me old-fashioned, but I believe in exercise and balanced meals combined with nutrient-dense food for managing weight. But that said, I also understand that people often need a helping hand. In any case, several years ago, I turned my attention to rethinking shakes and weight-loss to see if there was a different way to approach it. Instead of trying to create a substitute meal with lots of added protein and a bunch of synthetic vitamins, I thought it might be possible to instead create an energy shake that literally fueled the body for hours with ultra-long-chain carbohydrates--making it feel energized and satiated for 3-4 hours at a time--but without the jittery stimulant effect you get from coffee and energy drinks. This would kill two birds with one stone. 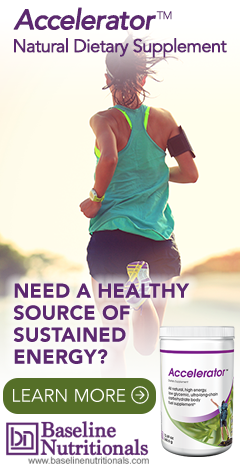 It would work as a healthy, sustaining energizing boost that would be perfect for both athletes and anyone looking to remain vibrant throughout the day. And since it would keep you feeling energized and satisfied for hours at a time, it would help you lose weight since you wouldn't feel the need for "extra" snacks to keep going. Understand that your body can only use glycogen as energy. Everything must get broken down to this first. Glycogen is the simplest form of sugar in your blood. If there is too much (hyperglycemic), your pancreas produces insulin to shuttle the sugar out of your blood and into your cells, if there is too little (hypoglycemic), your body produces glucose, which gets rid of the insulin so you can build up more sugar in your blood. Hyper- and hypo- glycemia are the extreme conditions of high or low blood sugar, respectively. The bottom line is that you need carbohydrates for energy. They power every part of your body and energize it to work, run, jump, think, breathe, and more. As long as you're using your body, you need glucose. When you are hungry, you find it hard to think and work. That's because you're running out of glucose, and your brain needs more fuel. Simple, or short-chain, carbohydrates don't need to be broken down at all. They are instantly available to the body. These are the sugars. To say that all sugars are bad, as is often now stated, is an oversimplification of the problem. There are many times that your body truly needs an instant influx of energy foods. There are many sugars such as mannose that play a key role in our immune systems. However, there is no question that, in general, a sustained high-level intake of sugars spikes insulin levels and eventually contributes significantly to major health problems such as obesity, high cholesterol, high triglycerides, and diabetes. Complex, or long-chain, carbohydrates cannot be utilized by the body until they are broken down. Complex carbohydrates consist of hundreds or thousands of sugar units linked together in single molecules. Theoretically, since they are not instantly available to the body, they should raise glucose levels more slowly and be healthier than simple sugars. But that is not always the case. Some long-chain carbs, such as, potatoes, bananas, all refined grains (in point of fact, many whole grains too), and maltodextrin (which is frequently added to processed foods) break down very quickly and are virtually indistinguishable from straight sugar in their effect on the body. There are two qualifiers for this. Fiber. Fiber cannot be digested by human beings. It has no calories because the body cannot absorb it. The more fiber present in the food, the more slowly the carbohydrates bound to that fiber break down. That's why high fiber fruits and vegetables such as broccoli and prunes and berries tend to be very low on the glycemic index. In general, these foods, although they are pure carbohydrates, can be eaten abundantly on any low-carb program. Branching. If the simple sugars in a complex carbohydrate are not assembled in a straight line, but include many branches, it slows the breakdown of the carbohydrate dramatically because the enzyme amylase does not work on branches. Examples of branched carbohydrates include the gums such as guar and xanthan. In the end, it became obvious to me that the ultimate diet/energy shake should not be built out of protein and fat, but out of long-chain, slow-energy-releasing superfood carbohydrates. However, before I could finalize the shake, there were a couple of other issues that had to be dealt with. First, I had to acknowledge how the shake would truly be used in the "real world." Ideally, this superfood powder would be mixed with fresh squeezed vegetable juice, thereby providing sustenance and energy for several hours with no chance of an insulin spike. But I also realized that we live in the real world. Very few people who need to lose weight are likely to be disciplined enough to drink large amounts of fresh squeezed vegetable juice every day. They would much rather mix their superfood with high glycemic sweet juices and fresh fruit. This, of course, would defeat the purpose. According to the American Diabetes Association (ADA), the glycemic index (GI) measures how foods containing carbohydrates raise blood glucose. It is a value assigned to foods based on how slowly or how quickly those foods cause increases in blood glucose levels. Also known as "blood sugar," blood glucose levels above normal are problematic and can cause blindness, kidney failure, or increase cardiovascular risk. Foods low on the glycemic index (GI) scale tend to release glucose slowly and steadily. Foods high on the glycemic index release glucose rapidly. Low GI foods tend to foster weight loss, while foods high on the GI scale help with energy recovery after exercise, or help offset hypo- (or insufficient) glycemia--but again are problematic under normal circumstances. Low GI (55 or less). Most carbohydrates fall in the high or medium range. Barley is a notable exception with a very low glycemic index of around 25. I singled out barley's exceptional glycemic index value because a special form of barley is actually the key ingredient that drives this formula, and we'll talk more about it in a moment. But the formula also contains certain herbs that help to reduce the glycemic response when people blend it with fresh fruits and juices. Again, the purpose of the formula is to use slow release carbohydrates that allow the body to be smoothly energized with no jitters and feel satiated for several hours so as to eliminate the need for unhealthy snacking. Along the way, you'll notice that each of the ingredients used in the formula also has other profound health benefits that range from inhibiting cancer to ameliorating HIV infections. As I mentioned, a special form of barley is the key ingredient that drives this formula, and that is pre-sprouted barley (AKA Activated Barley). But before we get into the details of pre-sprouted barley, we need to look briefly at barley in general. As was hinted at by its remarkable GI number of 25, it's an exceptional grain. Incidentally, that GI number is 22 percent less than skim milk! In ancient Rome, a food made from sprouted barley, honey, and colostrum was used to sustain infants whose mothers had died in childbirth. In more recent years, that same formula has been used by the UN to prevent starvation in Third World countries. Nutritionally, barley has high concentrations of tocotrienols and antioxidant compounds that work to suppress the activity of the rate-limiting activity of the HMG-CoA Reductase enzyme in the liver, thus reducing cholesterol synthesis.3 And barley is one of the highest known sources of beta-glucans, which are carbohydrates (there's that word again) that have remarkable immune boosting properties and have been shown to improve blood glucose and lipid levels among diabetics in clinical trials.4 In fact, research conducted in Canada, the United States, and Australia has shown that barley can play a significant role in lowering blood cholesterol in hypercholesterolemic subjects. Other studies have shown that non-insulin dependent diabetics (Type II) had improved blood glucose levels as a result of including barley in their diet. And sprouting barley renders all of barley's nutrients and health benefits more bio-available. Sprouting also reduces both the amount of starch and gluten in the barley, while at the same time increasing the amount of amylase, which helps break down the remaining carbohydrates. The problem with using sprouted barley in a formula is that it's extremely gelatinous. All attempts to dry it and package it for commercial distribution failed until a company in Sweden figured out a way to use low-temperature steam (produced in a partial vacuum) to take the barley just up to the point of sprouting -- before it turns gelatinous, but after the point where all the proteins and carbohydrates have been converted, and at a temperature low enough so that no enzymes are damaged. This turns out to be a remarkably interesting point. It's like the food is placed in a state of suspended animation at the point where all of the energy of the grain has been marshaled to sprout -- but has not yet expended that energy in the act of sprouting. The result is a brand-new superfood with unbelievable properties. It has been called Activated Barley. Think of it like a bullet in a gun. The bullet in the chamber is like the dry barley pearl. All the energy is dormant--unavailable. The bullet, after it has fired and left the gun, is like the barley sprout. All of the energy has been expended in the act of making the bullet shoot out of the gun--or in this case, making the barley sprout. The energy has been used up. Once again, it is no longer available. But pre-sprouted barley is different. It's like being able to freeze time at the moment the gunpowder has fired and before the bullet has left the gun. A huge amount of energy is now locked in the chamber, available in an easily used form, just waiting to be directed in any way you want. What if you could take that energy and use it for things other than making the bullet fly? What if you could use the energy locked in the pre-sprout phase to nourish the body rather than make the barley sprout? That would be a true superfood. It provides over 400% more energy per calorie than any other food calorie known. (Despite what the FDA may tell you, not all calories are created equal.) As it turns out, there are two different ways to test for caloric value. The traditional way is by burning the product to determine the energy released. This is the FDA approved standard. However, a more meaningful test is to measure the metabolic calorie value--that is: how much energy the BODY can actually use or produce from the food in question. For activated barley, the metabolic calorie value is 400% higher than a standard calorie such as fat. Or to look at it another way, with pre-sprouted barley you get the same energy on 1/4 the calories VS standard calories. So, what exactly is ß-glucan? It is the predominant soluble fiber found in oats and barley and has been shown to reduce serum cholesterol and improve post-prandial insulin and glucose responses in healthy and diabetic adults.6, 7 In fact, it is likely that these health benefits are the result of a synergistic effect of the fiber and the constituent phytochemicals found in barley and oats.8 The major bioactives in barley include phenolics, tocols (the fundamental unit of vitamin E tocopherols), and folate, while those in oats include actual tocopherols and tocotrienols, phenolic acids, sterols, selenium and avenanthramides. In addition, barley contains several plant-based protease inhibitors (PIs). In the past, PIs have primarily been considered as protein-degrading enzymes. However, this view has significantly changed, and PIs are now considered to be very important signaling molecules in many biological activities such as inflammation, apoptosis, blood clotting, and hormone processing.9 In recent years, PIs have been examined extensively as therapeutic agents, primarily to deal with various human cancers. Interestingly, many plant-based PIs are also found to be effective against cardiovascular diseases, osteoporosis, inflammatory diseases, and neurological disorders. The PI content of such foods, then, likely has a significant influence on human health disorders. Barley contains several PIs of the chymotrypsin family that interact with a range of proteases from human plasma, leukocytes, the pancreas, a fungal trypsin, and three subtilisins (bacterial proteases)--in addition to inhibiting several coagulation factors such as thrombin, plasma kallikrein, Factor VIIa and Factor Xa. Rice bran, a byproduct of the rice milling industry, is a rich source of nutraceuticals and nutrients. However, its usefulness was traditionally limited due to the presence of lipase and lipoxygenase which quickly initiates rancidity. Several years ago, it was learned that you could stabilize the rice bran and prevent rancidity by treating the milling with either infrared heat or enzymes that completely inactivate lipase along with significantly reducing lipoxygenase activity. After stabilization, the nutraceutical molecules like γ-oryzanol, α-tocopherol, and polyphenols are retained in the range of 68 to 110%, and the total antioxidant activity is actually improved. In addition, other enzymes used in the treatment improve the soluble fiber content. Nutrition is further enhanced by the conversion of complex carbohydrates into bioavailable, energy-producing sugars: glucose (approximately 70%), cellobiose (approximately 20%) and cellotriose (approximately 10%). Stabilized rice bran also has an enhanced prebiotic effect, which means it promotes the growth of beneficial bacteria in the colon. And finally, beneficial nutrients such as acetic acid and propionic acid as well as the full range of B vitamins are either enhanced or demonstrate maximum retention. Mitochondrial dysfunction plays an important role in brain aging and has emerged as an early event in Alzheimer's disease (AD), contributing to neurodegeneration and the loss of physical abilities seen in patients suffering from this disease. As a result, the mitochondria in these cells displays impaired energy metabolism, low ATP levels, and decreased mitochondrial respiration inside your body's cells. But studies have shown that stabilized rice bran extract (RBE) protects from mitochondrial dysfunction. A 2013 study published in Pharmacological Research, for example, found that overall respiration and mitochondrial coupling were significantly enhanced in isolated mitochondria in RBE fed animals.10 This suggests improved mitochondrial function in the brains of RBE fed animals. Cells isolated from the brains of RBE fed animals show significantly higher mitochondrial membrane potential and ATP levels after being "challenged" by the introduction of sodium nitroprusside, indicating resistance against mitochondrial dysfunction. Astonishingly, experimental evidence even indicates increased mitochondrial mass in guinea pig brains after RBE ingestion. Thus, RBE represents a potential nutraceutical for the prevention of mitochondrial dysfunction and oxidative stress in brain aging and the resulting neurodegenerative diseases such as Alzheimer's. And then, of course, rice bran has been shown to be cancer protective--so much so that researchers have worked to isolate its cancer inhibiting components. Specifically, researchers have known that food-derived bioactive peptides from RBE promote functional activity against diseases and present as nutraceutical agents. A 2010 study published in Peptides, was designed to isolate and fully characterize the peptide(s) derived from rice bran that have anti-cancer properties.11 Ultimately, they isolated a novel pentapeptide from rice bran that possesses cancer growth inhibitory properties on colon, breast, lung, and liver cancer cells. They concluded that this peptide could serve as a nutraceutical agent against cancer. First, let me address why I did not include spirulina or chlorella. I love spirulina and chlorella. I use them both in my superfood formula. But they have a pronounced smell and taste. And when designing a mainstream shake for energy and/or weight-loss, taste and smell are crucial. If the people who need it won't use it, it is a failed formula no matter how effective it might be. So instead, I turned to the grasses. They too have a distinctive taste, but nowhere near as pronounced. And when used in support of the rice bran and pre-sprouted barley, you can hardly taste them at all. The three I decided to use were wheatgrass, alfalfa, and oat. Wheatgrass, the young grass of the common wheat plant Triticum aestivum, has been called one of nature's finest medicines. It contains chlorophyll, flavonoids, enzymes, vitamins such as C and E, and nutrients that are essential for a healthy body. The benefits of wheatgrass are enormous. These include correcting blood sugar imbalances, purifying the blood, enhancing hemoglobin production, neutralizing toxins, purifying the liver, and removing heavy metals from the body. Forms of wheatgrass include fresh juice, frozen juice, tablets, and powders, with compositions varying according to their production processes, as well as to the growing conditions of the wheatgrass. Laboratory in vitro studies, mostly using the fermented wheat germ extract, have demonstrated anti-cancer potential and have identified apoptosis as a possible mechanism.12 In animal experiments, wheatgrass demonstrated benefits in cancer prevention and as an adjunct to cancer treatment, as well as benefits to immunological activity and oxidative stress. Clinical trials show that wheatgrass may induce synergistic benefits to chemotherapy and may attenuate chemotherapy-related side effects, as well as benefit rheumatoid arthritis, ulcerative colitis, hematological diseases, diabetes, obesity, and oxidative stress. And finally, a 2011 study published in the Journal of Experimental and Clinical Cancer Research suggests that fermented wheatgrass extract "exerts significant antitumor activity. "17 The study concludes that the extract requires further evaluation as a candidate for clinical combination drug regimens. Revered as the "father of all foods," alfalfa (Medicago sativa) has been eaten for centuries by people seeking a rich source of essential minerals and vitamins. Alfalfa Leaf helps the body assimilate protein, calcium, and other nutrients. It is a rich source of chlorophyll, and is the richest land source of trace minerals. And it is high in fructo-oligosaccharides which promote the growth of healthy bacteria in the gut and neutralize bad bacteria overgrowth such as Candida. Oat grass has a relaxing and stimulating action that nourishes and strengthens the nervous system and has been reported to be helpful for arthritis, rheumatism, stress, depression, exhaustion, tremors, epilepsy, palpitations, nervous headache, nervous stomach, nervous breakdown, cholesterol levels, herpes, and menopause symptoms. Oat grass is also used for thyroid and estrogen deficiency, for degenerative diseases such as multiple sclerosis, and for colds--especially if recurrent or persistent. Oat grass is extremely rich in antioxidants, including polyphenols and one powerful antioxidant called tricin, a flavone compound that exerts smooth muscle relaxing properties, making it beneficial in gastro-intestinal cramping. Green oats are also high in beta-glucan, which helps stimulate immune functions. As previously stated, ß-glucan is the predominant soluble fiber found in oats and barley and has been shown to reduce serum cholesterol and improve postprandial insulin and glucose responses in healthy and diabetic adults. In addition, the major bioactives in oats include tocopherols and tocotrienols, phenolic acids, sterols, selenium, and avenanthramides. The blood sugar regulating properties of Banaba leaf (Lagerstroemia speciosa L.) have been demonstrated in cell culture, animal, and human studies. In isolated cells, the active ingredient in Banaba leaf, corosolic acid, is known to stimulate glucose uptake. In diabetic mice, rats, and rabbits, Banaba feeding reduces elevated blood sugar and insulin levels to normal. In humans with type II diabetes, Banaba extract, at a dose of 16-48mg per day for 4-8 weeks, has been shown to be effective in reducing blood sugar levels 5%-30% and in maintaining tight control of blood sugar fluctuations. An interesting "side-effect" of tighter control of blood sugar and insulin levels is a significant tendency of Banaba to promote weight loss (an average of 2-4 lbs. per month) -- without significant dietary alterations. Banaba leaf has been used in traditional Oriental medicine to treat diabetes in the Philippines. The active ingredient, corosolic acid (CA), is a triterpenoid compound which has a hypoglycemic effect. Studies have shown that CA improves hyperglycemia after an oral administration of sucrose and significantly reduces the digestion of sucrose in the small intestine.22 These results suggest that the hypoglycemic activity of CA is derived, at least in part, due to the inhibition of the chemical breakdown of sucrose. And finally, as an interesting side note, Banaba leaf also contains both ellagic acid and gallic acid. We talked a number of years ago about the anticancer benefits associated with ellagic acid, but it turns out, it also is effective as an HIV inhibitor, along with gallic acid. Specifically, a 2013 study published in the Indian Journal of Medical Research demonstrated that Banaba leaf has a novel anti-HIV activity.25 Its gallic acid content shows an inhibition in reverse transcriptase, whereas its ellagic acid content inhibits the HIV-1 protease activity. The bottom line is that Banaba leaf extracts show a dose dependent inhibition of HIV-1-infection. European blueberry leaf, also known as bilberry leaf (Vaccinium myrtillus), contains significant pharmaceutical amounts of both chlorogenic and caffeic acids (20%). New studies have shown that taken together, the unique compounds in bilberry leaf help to simultaneously reduce glucose absorption in the intestines, decrease glucose synthesis in the liver, and speed up the rate of glucose metabolism. Residents of the Caucasia region of the former Soviet Union have traditionally taken medicinal teas infused with leaves of the European blueberry plant as a self-treatment for blood sugar imbalances, diabetes, and hypoglycemia. Bilberry leaf extract is also proven to reduce total cholesterol and LDL levels and is beneficial as a food for the pancreas, while helping relieve the problems associated with the kidneys and gallbladder. Protect pancreatic beta cells from glucose induced oxidative stress. Besides these effects, the anthocyanins in bilberry leaf contribute to the improvement of the lipid spectrum and have antioxidant, anti-inflammatory, and cardioprotective activities. When you see guarana in the formula, you might think that's where the energy comes from. As it turns out, you would be mistaken. At best, it provides a slight edge to the energy you get from the long chain carbs. It is true that the active ingredient in guarana (guaranine) is chemically identical to caffeine -- but with one huge difference. In its natural form, it is bound to the fiber of the guarana seeds. That means its stimulating component is released gently, slowly, giving you up to 5 hours of refreshing vitality. And yes, as a dietary supplement, guarana can be an effective stimulant. Its seeds contain about twice the concentration of caffeine found in coffee seeds (about 2--4.5% caffeine in guarana seeds compared to 1--2% for coffee seeds). However, the amount of guarana per serving in this formula (200 mg) means that the caffeine hit, which would only be 5-10 mg at 2-4%, is far, far less than is found in a typical cup of coffee (100 mg). You'd need to have 10-20 shakes to get the same caffeine you get from one cup of coffee--and remember, its release is spread out over 3-4 hours. The bottom line is that the vast majority of the "energy lift" from this formula, comes from the ultra-long-chain carbohydrates, not from the caffeine in the guarana. Again, for lack of a better way of explaining it, the 5-10 mg of caffeine found in a serving of this formula merely give an edge to the energy produced by the long chain carbs. And because of the slow release of both the carbs and the guarana, that energy is accessible for a number of hours without excessive stimulation. Stevia is used in this formula both to sweeten it and for its nutraceutical value. First, for years, the FDA only authorized its use as a supplement, not as a sweetener. And second, although very sweet and far safer than the standard commercial alternatives most commonly used (aspartame and sucralose), it had an aftertaste that many people didn't like. Problem 1 went away when the FDA approved stevia's use as a sweetener in 2008 to accommodate Coke and Pepsi. And problem 2 went away when food technologists finally learned how to isolate Reb A from stevia. As it turns out, most of the aftertaste is in the stevioside part of stevia's sweet taste, not the rebaudioside part. Rebaudioside A, or Reb A as it is commonly known, is the sweetest of all the natural compounds in the stevia leaf. Also, as just mentioned, it has very little of the problematic aftertaste and is 200 times sweeter than sugar--so very little goes a long way. Recent versions of Reb A available for use as a sweetener actually achieve 98% purity. This truly is a different kind of shake. Ed note: Jon's sustained energy shake is available from Baseline Nutritionals. Where do I get the Gladiator Shake? I read your columns with dedication and complete trust and faith regarding your intellect and knowledge, however I become totally baffled and frustrated with the difficulty in placing an order. I wanted to order the Energy Diet shake, (with the Jon Barron discount, of course) but when I tried to access the site to order the product was labeled Accelerator. I want this product but am at a loss as to how I could proceed. I also noticed the word Activated was spelled Aktivated. Is this a typo or does it indicate a difference in the ingredient? Please advise as to how I can place an order. As you probably figured out, the Baseline of Health Foundation does not sell products, so you won't see product names such as "Accelerator" here because we are just discussing what formulas in general improve health. That does not mean it is not the same formula, you just need to look at the ingredients of any manufacturer you buy from. Note that Baseline Nutritionals does indeed formulate exactly as Jon Barron advises. We can't guarantee other formulas with the same ingredients. Read the article with great interest, but .. barley? Bummer. Have Celiac disease. Have been looking for an appropriate protein powder, cannot tolerate the newer vegan shakes made of pea protein (they are like cement), also can't tolerate soy/dairy. Bottom line: carnosine supplements are the best way to go. and so.. where can we buy this shake? is it up and coming? The Baseline of Health Foundation doesn't sell products, merely provides free health information and tips on what to look for in any health supplement -- tips are based on Jon Barron's "Lessons From The Miracle Doctors." For a list of recommended formulas and what company sells them, click on the "Products" link at the top of the page in the green navigation bar. For this formula, look for "Energy Diet Shake" on the list on that page. You can't get more than 100% of any item. How ridiculous you look to put 110% retention. Actually, not ridiculous but quite accurate—and not uncommon. For example, were you aware that heating foods that contain lycopene increases their antioxidant potential as it makes the lycopene more bioavailable than it was in the raw state? In other words, the amount of lycopene available for use in the human body after the food source is heated is more than 100% VS the amount of lycopene available in a raw tomato. https://www.sciencedaily.com/releases/2008/08/080820163109.htm. Hope that helps, and glad we could help you learn something new about nutrition since that’s our primary role here at the Foundation. Does the oats and ingredients in this formula come from crops grown without glycophosphate (round up)? I've dicovered that all of the main stream oats form the large food companies have it in them..Like general Mills etc.